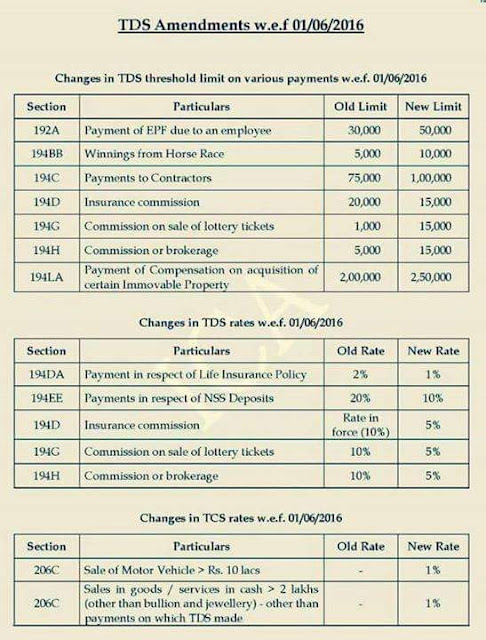 Today we are sharing changes in service tax w.e.f from 1 june 2016. These would be applicable for November 2016(official notification from. 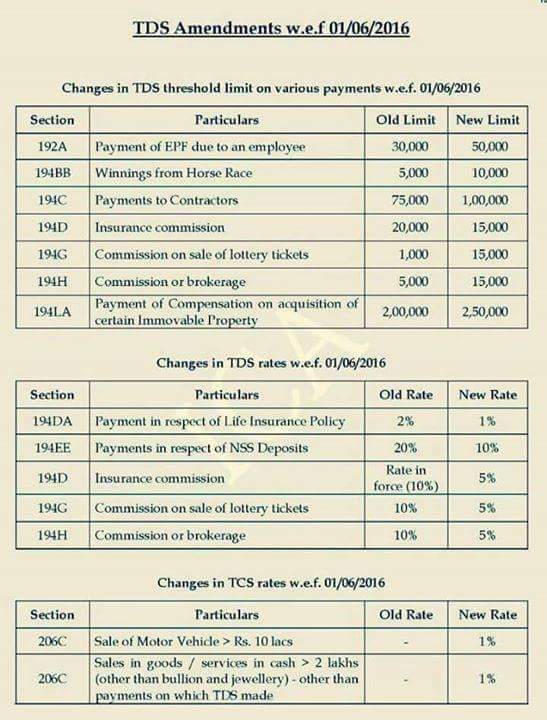 Icai still awaited most probably will be covered in rtp). This is ultra summarized capsule chart beneficial for both ipcc and final. 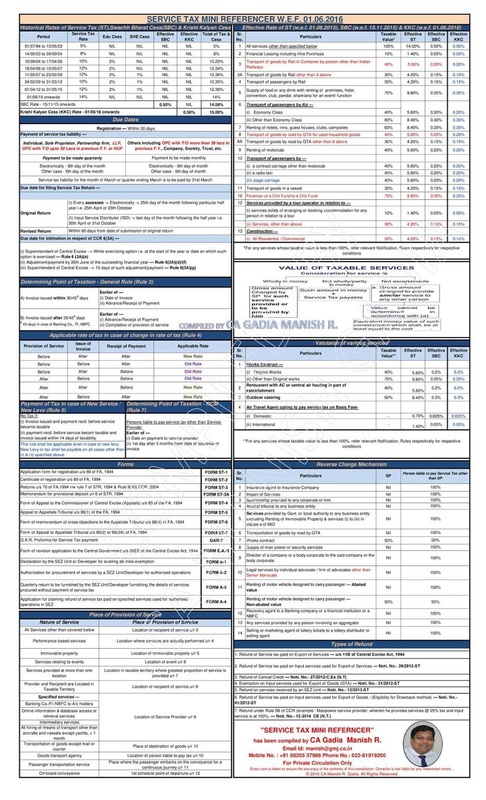 Its in image format students can downloads it in there smart phone and can keep it as wallpaper thereby ensuring to look at it every now and then, with this all the information will be stored permanent long term memory. 1) Advantages of Independent Examination. 2) What are the Basic Principles for governing an audit of financial statement? 3) Discuss Inherent Limitation of audit. 4) Mention the areas where different accounting policies may be encountered and how that would be disclosed. 5) What are the factors to determine sufficient and appropriate audit evidences? 6) Discuss reliability of audit evidences. 7) What are the methods / techniques to obtain audit evidences? 8) Discuss test of control and substantive audit procedures. 9) Explain the process of external confirmation. Give some examples where external confirmation can be used as audit evidences. 10) Short note on Analytical Review Procedures. 11) What are the principal contents of engagement letter? 12) What are the factors to be considered in the development of overall plan? 13) What are the advantages of audit planning? 14) Short Note: Knowledge of Client Business. 15) Advantages and Disadvantages of Audit Programme. 16) Short Note: Content of Audit Note Book. 17) What are the additional numbers of purposes serve by audit documentation? 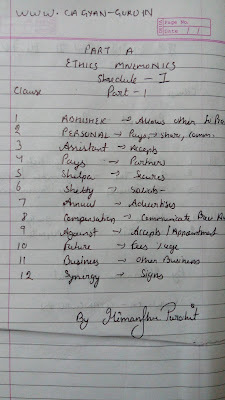 18) Discuss classification of working paper. 19) Short Note: Audit Working Paper. 20) Discuss specific documentation requirement. 21) What are the transactions not suitable for test checking? 24) Short Note: Random Sampling. 30) Internal audit requirement as per the Companies Act, 2013. 31) What consideration should be made in framing a system of internal check? 34) Why auditor required having knowledge of CIS in an audit of financial statement in CIS Environment? 35) Vouching : Bad Debt Recovered, Sale of Scrap, Discounted bill dishonored, Sale of investment, Custom Duties, Excise Duties, Remuneration paid to directors, Preliminary Expenses, Research & Development Expenses, Advertisement Expenses, Transaction with Related parties. 38) Verification: Land & Building, Investment, Cash at Bank, Loan & Borrowing, Contingent Liabilities, Inventory, Debtor, Stock lying with third party. 39) Disqualification of Auditor. 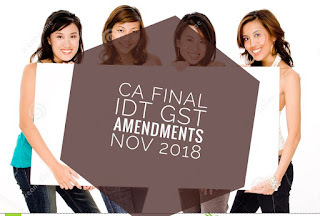 Section 141 (3) (d) (e) (f) (g) (h) (i). 44) Discuss removal & resignation of auditor. (Section 140). 45) Discuss duties of auditor in relation to section 143 (1) (3). 47) Discuss redemption of preference shares. 48) Short Note: Director’s Responsibility Statement. 50) Verify Payment of Dividend. 51) Verify issue of Debenture. 52) Discuss Rule in relation to books of accounts in electronic form. 55) Power of CAG in relation to audit of financial statement of a company. 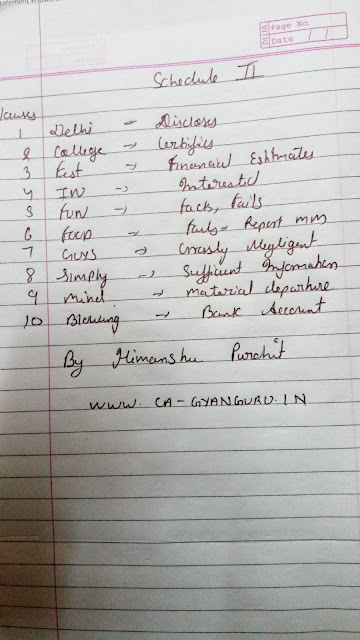 Guys today we are sharing mnemonics of ca final Advanced auditing professional ethics. 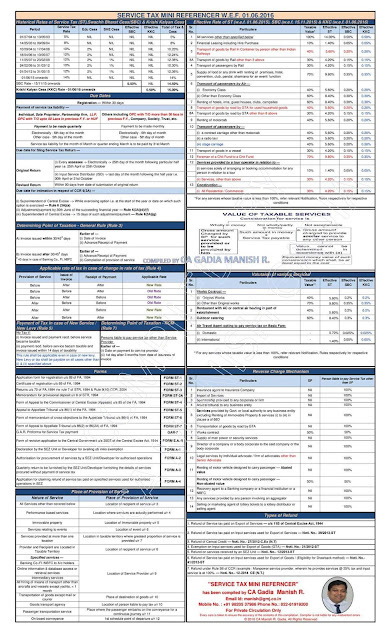 As per the trend icai generally asks around 20 to 25 marks questions from this. 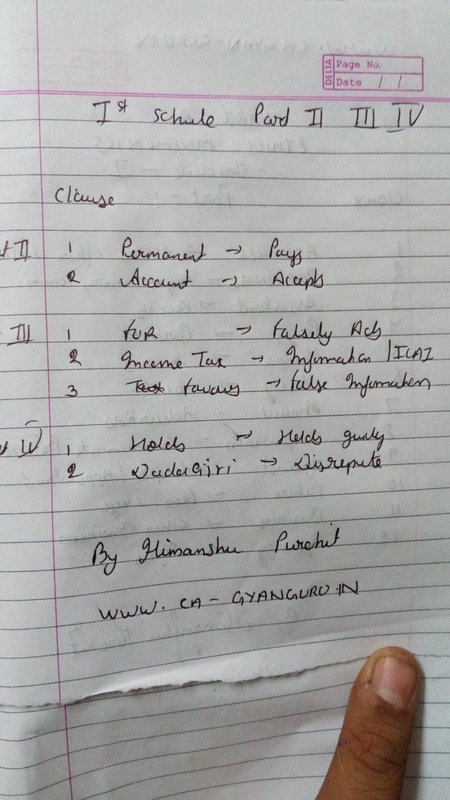 With this memory technique mnemonics you can easily remember them with clause no., quoting clauses in professional ethics questions helps you getting full marks. In the past we analyzed the checked exam papers and have seen that by quoting clause no. with reasons students have scored full 20 in professional ethics. You can download the image and save it on your phone.